An estimated 40 million laser refractive surgery procedures have been performed worldwide. With rapid advancements in technology, laser eye surgery can provide a safe and highly effective treatment for people of all ages, for short sight, long sight, astigmatism and presbyopia (the need for reading spectacles) depending on a person’s individual measurements and needs. We conduct a thorough eye examination using state of the art equipment to determine the best course of action for you. LASIK is the most advanced, safest and most accurate form of laser eye surgery today to correct short sight (myopia), long sight (hyperopia) and astigmatism. Whilst around 90% of laser eye treatments carried out today are LASIK, it might not always be the most suitable treatment; We will see if LASEK is a better option for you. Your consultation involves more than thorough tests on your eyes, it's also an opportunity for us to chat through things to find out what's best for you. Today, after your laser eye surgery treatment lasting only around fifteen minutes, you will experience a new lease of life free of glasses or contact lenses. Imagine seeing the world that was once a blur suddenly presenting itself almost like a 4K cinema screen - the sky, the trees, flowers and birds all in crisp high definition. If we feel that you might be suitable we will invite you in for a consultation at either The Wimpole Street Eye Clinic in Marylebone (next to Harley Street), in London’s West End or The Moorfields Private Outpatient Centre which is on City Road and part of Moorfields Eye Hospital. Remember that only a consultation can determine whether you are in fact a suitable candidate for laser eye surgery. Your laser eye surgery consultation is a very detailed and thorough examination of your eyes and not just a simple eye test. However, it is worthwhile understanding the eye chart and also how your prescription is established. SPH represents a sphere and is the amount of short sight (-) or long sight (+), measured in dioptres. This is the figure you will probably be most familiar with. CYL represents cylinder, and is the amount of any astigmatism present, also measured in dioptres. AXIS is the angle of the astigmatism, measured in degrees. The above example represents a patient with +4.50 of long sight in their right eye, combined with -2.50 of astigmatism at an axis of 120°, and +3.50 of long sight in their left eye, combined with -2.00 of astigmatism at an axis of 80°. Here, the patient has -7.75D of short sight in their right eye, combined with -1.25D of astigmatism at an axis of 10° and -8.50D of short sight in their left eye, combined with -1.75D of astigmatism at an axis of 175°. For higher prescriptions (greater than plus or minus 4D), the optometrist will also record the distance between the test lenses and the front of the eye. This is known as the back vertex distance or BVD and is an important measurement when planning laser eye surgery. In the above example, the BVD has been measured as 12mm. When presbyopia (a condition that affects us all as we age) is also present, the optometrist will record the extra magnifying power required for reading or close work. This is called the reading addition or ADD. Having laser eye surgery could disqualify you from some professions and activities that have specific visual requirements (e.g. flying a plane). You must check the requirements for these activities before considering surgery. How will my prescription affect Laser Eye Surgery? An estimated 40 million laser refractive surgery procedures have been successfully performed worldwide. Laser eye surgery is a safe and highly effective treatment for short sight, long sight, and astigmatism. However, as with any surgical procedure, there are associated risks and complications, although these are very rare and the vast majority resolve over time with no adverse effect on the eventual outcome. No. We use anaesthetic eye drops so that the procedure is painless, although you may experience what can best be described as ‘pressure’. Most patients are amazed at how little time it takes and say it’s much easier than a trip to the dentist! You may experience a stinging or prickling sensation as the anaesthetic eye drops wear off, and your eyes may water for a few hours after IntraLASIK. With LASEK your eyes will feel very irritable for the first 5 days (at least). Patients often compare this feeling to pre-surgery when they had their contact lenses in too long. This is normal and will last until the contact lens is removed. In order to gain the greatest advantage from wavefront technology it is important to be able to apply the laser treatment very precisely to specific parts of the cornea via iris recognition tracking. Tracking systems have become increasingly sophisticated over the last few years and allow the laser to follow the tiniest eye movements during surgery. 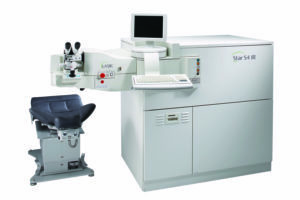 The Abbott – AMO (VISX) STAR S4® Excimer Laser uses ActiveTrak 3-D Active Eye Tracking. This is the first FDA-approved tracking system in the industry to track eye movements along the X, Y and Z axes. Therefore these features improve the accuracy of the procedure and safety for the patient. WaveScan WaveFront data creates a 3D map at the scanning process providing detailed information of the patient’s vision correction requirements. It is also possible to photograph the unique patterns in the iris, which are as individual as fingerprints. For example, the TPV Z100 laser identifies approximately 3,000 different features of the iris and aligns exactly with these patterns so that the treatment is delivered to precisely the right areas of the cornea. 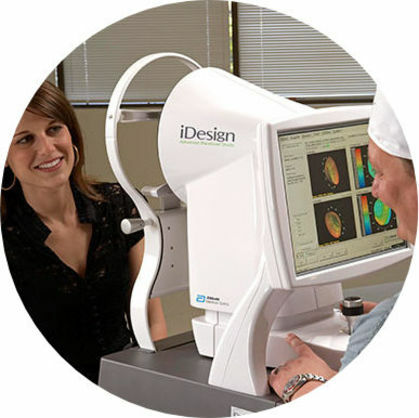 The system operates while the laser is running and even compensates for rotation of the eye (dynamic rotational eye-tracking) – very important when treating astigmatism, for example. The human eye is an extremely powerful focusing system which, because of this high power, is often characterised by numerous optical irregularities and defects in addition to any refractive error (i.e. short sight, long sight or astigmatism). These extra optical distortions are known as higher-order aberrations and they can affect the overall quality of the final image on the retina. On average, higher-order aberrations account for around 5% of the eye’s total refractive error – in other words, 5% of the blurring of vision that we experience when not wearing spectacles. 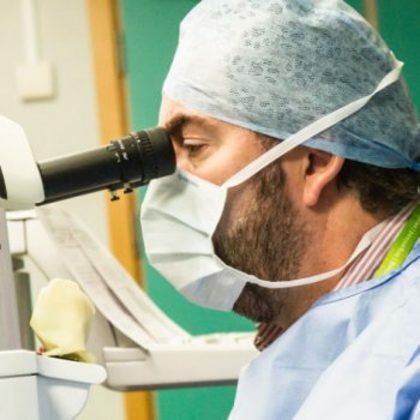 Wavefront technology is now the gold standard applied to laser eye surgery treatments and is an integral part of the treatments offered by David Gartry. Since glasses and contact lenses cannot correct the aberrations shown by Wavefront technology patients undergoing wavefront-guided customised IntraLASIK can in theory therefore achieve better vision than they have ever had before. Wavefront-guided customised IntraLASIK is the nearest we have at the present time to the perfect laser eye treatment. Wavefront technology was originally developed by physicists and astronomers to improve images of distant stars captured by powerful lenses, such as the Hubble Telescope. In the same way, wavefront analysis provides highly detailed measurements of the optics of the human eye. When this information is programmed into the latest laser systems with advanced tracking facilities with iris recognition or iris registration, it is possible, in theory, to reproduce the perfect corneal shape to cancel out any higher-order aberrations. Will I still need glasses after treatment? Laser eye surgery is highly effective at correcting distance vision. If indicated, a simple re-treatment procedure can be carried out (after 3 months) to eliminate any residual refractive error (a small amount if myopia for example) at no extra cost. This applies to only 3-4% of our patients and is usually highly successful. 96% of patients, therefore, do very well after just one laser treatment. Extremely rarely, patients may be left with a small residual prescription that may require spectacles for the utmost clarity of vision. Laser eye surgery cannot reverse the eyes natural ageing process. When we reach our mid to late 40s, we develop an age-related condition known as presbyopia, characterised by the need to wear reading glasses. It is very important to understand that presbyopia affects everyone, whether you have had laser eye surgery to correct your distance vision or not. Therefore, once you reach your mid-late 40s, it is highly likely that you WILL require reading glasses – even former RAF pilots, for example, will need reading glasses from their mid-40s onwards. Will I have to have laser eye surgery carried out again in a few years' time? In around 3-4% of cases we perform re-treatment (enhancement) procedure to improve the end result. This takes place around 3-6 months after the initial surgery. We are occasionally treating patients (treated anywhere) 15 years plus down the line, who have had a natural regression, which has become enough to warrant some form of correction. It is very important to understand we can only treat your current prescription. We cannot stop or prevent the natural changes you would have even without surgery (This is similar to when your optician advises you might need a tweak to your glasses or contact lenses). Laser eye surgery cannot reverse or delay the eyes’ natural ageing process. 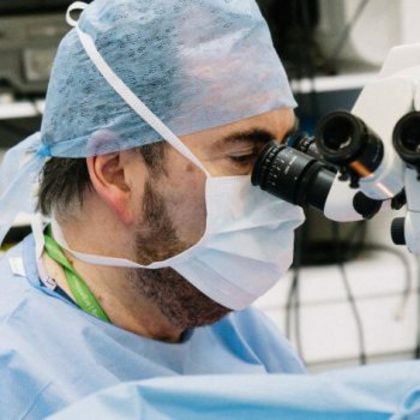 It is particularly important to understand that those who have had surgery will still need reading glasses as they reach their mid- to late-40s, in common with normally-sighted people of that age. Our LASIK results reveal the well-known trend of greater accuracy with low to medium myopic prescriptions with, on average, 98% of patients up to -6 dioptres, with less than 1 dioptres of astigmatism (and 93% of those with more than 1 dioptre of astigmatism) achieving +/- 0.5 dioptres proximity to emmetropia (perfect vision with no measurable spectacle prescription). Between -6 and -8 dioptres of myopia around 77.5% of patients achieve this +/- 0.5 dioptre result and beyond -8 (the limit being around -10) the figure is 60%. When dealing with higher prescriptions it is helpful to consider those patients achieving within plus or minus 1 dioptre of emmetropia (zero prescription), since, this gives a much better correlation with patients’ satisfaction. For example, if a patient with -10 dioptres of myopia (a very high prescription) has around 90% eliminated they have only 1 dioptre “left over” and are usually thrilled with the results. They will be able to see at least ½ way down the opticians’ chart without spectacles and close reading will be very good without spectacles. In addition, if required, this residual myopia can be retreated very successfully allowing for a 3 month period of stabilisation. David Gartry’s retreatment rate for 2014 (the last full audit year) was 3.5% – and, as can be seen from the above results, patients with high myopic prescriptions will tend to have a higher percentage chance of requiring a retreatment. The histogram / bar chart below shows that the unaided vision achieved after Lasik clearly depends upon how high the prescription was initially. For example; 100% of patients with up to -6.00D before LASIK achieve 20/40 or 6/12 unaided (the UK minimum driving standard) unaided (or better). Ninety eight percent of patients with low to moderate degrees of myopia achieve 20/20 (6/6) or better unaided and 90% of those with -3.00 to -6.00D achieve this higher standard. The typical trend of lower percentages of patients achieving 20/20 unaided as higher degrees of myopia are treated (beyond -8.00D) can be seen. LASEK (surface laser treatment with no flap) tends to be reserved for patients with higher myopic prescriptions and/or below average corneal thickness (a measurement known as pachymetry). Although it takes much longer to settle down (and patients are advised to take one week off work) the results are very good indeed with around 85% of patients beyond -6 dioptres (limit around -10) achieving a final result within plus or minus 0.5 dioptre of emmetropia (zero prescription). It is therefore very unusual to have to repeat LASEK (less than 1% statistically). The other group of patients who benefit from LASEK are those who take part in sports or occupations with significant physical contact (martial arts, competitive boxing, rugby, police, military, etc.). These patients will not necessarily have high prescriptions and, as can be seen from the above histograms, the accuracy of LASEK when treating more modest prescriptions is extremely high. The main drawbacks of LASEK remain the discomfort in the first few days following the surgery along with the delayed recovery time, with patients having to take one week off work. Here are just some of the many stories we have from our thousands of happy patients. 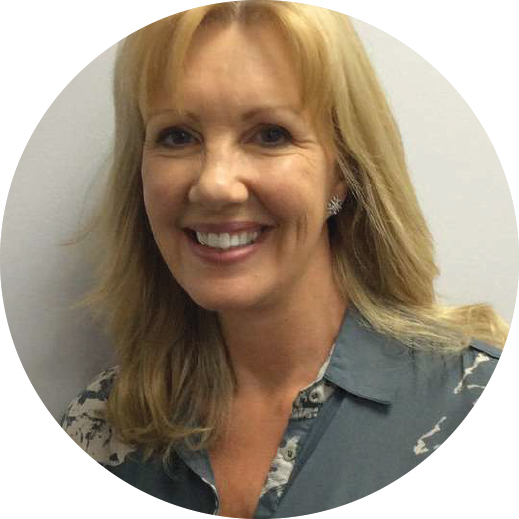 You can read all of our testimonials here – you’ll be able to see the delight in each and every one of their words. Our laser eye surgery prices are simple to understand. These prices include consultations, the surgery and aftercare too (which includes Moorfields Eye Hospital if needed). If you have any questions please do give us a call. Prices are for both eyes. 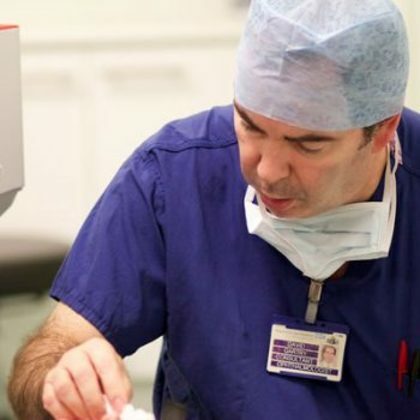 By charging for your consultation with your consultant surgeon, David Gartry, we are able to offer a comprehensive service that few other providers can match. We will run a series of specialist eye tests, after which you will meet David, who will explain your results in detail. He will give you comprehensive, objective advice about whether eye surgery is right for you and, if so, the most appropriate treatment option to meet your needs. We will give you all the information you need to make your own decision in your own time. Your wavefront-guided laser procedure fee includes David Gartry’s surgical fee and Moorfields Eye Hospital facility fee and aftercare drops given to you at discharge. Please note for higher prescriptions or astigmatism including more complex cases higher fees may apply. David Gartry will advise whether a patient’s prescription is complex or not at the initial consultation assessment. Only a small percentage of patients (with high prescriptions including high astigmatism) are in this latter, more complex category. Please contact us for more information. For more details please call us today on 020 7490 7222 or use the enquiry form to get in touch. Follow-up consultations and any re-treatments related to your surgery (if considered necessary) are free of charge within two years. Other ophthalmic conditions unrelated to the laser surgery are not included.